The United States military is concerned about possible “threats” coming from a Chinese-run space station in Argentina which Beijing used recently to land a probe on the dark side of the moon, according to a new report. Senior US military officials fear China can use the remote station, which is located in the deserts of Patagonia, to shoot down American and allied satellites, Foreign Policy reported Friday. Admiral Craig Faller, the newly confirmed commander of US Southern Command, warned lawmakers during a wide-ranging testimony before the Congress on Thursday that Beijing was rapidly expanding its reach in South America, a region that has become known as as America’s backyard. 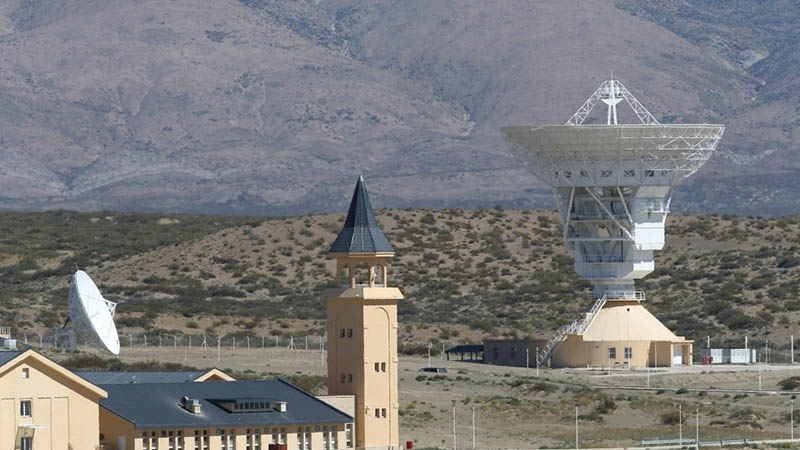 Faller specifically named China’s deep-space tracking facility in Argentina’s Neuquén province as a threat. American military and intelligence officials have kept a close eye on the 200-hectare compound. China has installed a powerful 16-story antenna in the station, which is protected from trespassers by an 8-foot barbed wire fence. The ground station began operations in April 2018 and, according to Chinese media, played a key role in China’s landing of a spacecraft on the dark side of the moon in January. Argentinean President Mauricio Macri’s former foreign minister, Susana Malcorra, has claimed that Buenos Aires has no physical control over the Chinese center’s operations. This is while Argentina’s space agency, CONAE, says the agreement between the two countries clearly states both sides’ commitment to “peaceful use” of the project. The agency also monitors all radio emissions from the station and sends staff there for periodic visits. China has made it clear that it uses the facility for civilian space observation and exploration projects. China’s military, the People’s Liberation Army, controls the country’s space program. The Patagonian station is run by the China Satellite Launch and Tracking Control General (CLTC), which reports directly to the PLA’s Strategic Support Force. Last year, US President Donald Trump ordered the Pentagon to form a Space Command to address “concerns” over China and Russia’s advancements in space technology. Moscow has warned that the new space-based missile strategy would unleash a dangerous arms race. China, on the other hand, says the idea of forming a space force leads to the “weaponization” of space. “China has consistently proposed the peaceful usage of space, and opposes the weaponization of space and a space arms race,” Chinese Foreign Ministry spokeswoman Hua Chunying said in December, adding, “We oppose even further turning space into the new battleground,” she added.